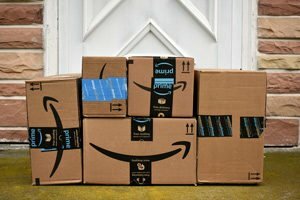 Amazon.com Inc. (Nasdaq: AMZN) is one of the most popular tech investments of all time, having skyrocketed nearly 99,000% in the last 20-plus years. And the odds are quite high you already own Amazon stock either outright, in a mutual fund, or in your company retirement plan. Amazon is one of those companies – and stocks – that drive the economy and the stock market. It's a game changer. And it is important that, even though your fund owns it, you have direct exposure to it for undiluted profit potential. However, buying a stock trading around $1,700 per share is a tall order for a lot of investors. It's a shame because the trend for a category dominator such as this is not over by a long shot. The latest news from this juggernaut is that CEO Jeff Bezos announced the company's partnership with Marriott International (Nasdaq: MAR), where the Amazon Alexa would be used as a "butler" in hotels. That's on top of Amazon's recent announcements of entering the banking space, the grocery business with the purchase of Whole Foods, the pharmaceutical business, "try before you buy" clothing services, entertainment programming, streaming services, and cloud services. No company is able to disrupt as many industries as Amazon. That's why investors need a way to participate directly in Amazon's gains. After all, if you have a mutual fund, or an ETF that owns this stock, AMZN's performance is just part of the overall performance of the fund. But with its stratospheric stock price, it is out of reach of most investors. However, Tom Gentile, Money Morning's options trading specialist, has found a solution. What if there were a way to earn big profits from Amazon stock at a fraction of the cost? There is and it's not a gimmick. Clayton, Dubilier, and Rice recently got rid of the CEO of Brand Energy and the "President of Business Development" in Houston. Both were ex-GE guys. Now, it's time to recover money from both of them. The ex-CEO brought in the ex-GE guy in Houston and paid him a ridiculous amount of money for nothing. They had to keep him on the road all the time because he couldn't get along with anyone. Can you imagine how much that cost the company? The ex-CEO also sent him around to meet with all kinds of companies even though he was extremely obnoxious. Can you imagine how many companies he scared away and how much money was lost due to him? He was sent to Houston from California in 2011 because he was despised in California. The CEO wouldn't fire him no matter what. Clayton lost a fortune because of those 2 guys. The ex-GE guy in Houston has the polish-looking last name. Clayton must recover money from those 2 guys and anyone else at Brand Energy that they think is liable. The ex-CEO was reckless when it came to hiring his friends and he allowed them to alienate employees and business partners. Clayton needs to investigate those 2 guys and their spending thoroughly. Why weren't they running surpluses when the oil price was high? Why was the debt so high? Where did all the money go? Investors need to know why the company went down the drain. Watch out for ex-GE guys. They play politics and form cliques and are a major problem in corporate America. Clayton, Dubilier, and Rice bought Brand Energy in 2013. Brand was ruined by ex-GE guys like the former CEO and the "President of Business Development" in Houston. Were they doing their fiduciary duty? Brand has institutional investors that may want to recover money from these guys. Blackrock is one of many that bought their bonds.